Once the capital city of Shaivite kingdom, Warangal still presents a glimpse into the royal grandeur of its past. Adding to the list of magnificent architectures are various ancient temples which are accompanied by serene beauty of lakes. Magical Warangal Tour Package from Hyderabad by Holidays DNA promises a hassle free way to explore all these and much more. Booking this tour package and gift yourself a relaxed stay of 1 night and 2 days in one of the best hotels, cab with driver for transportation from Hyderabad and sightseeing in Warangal. 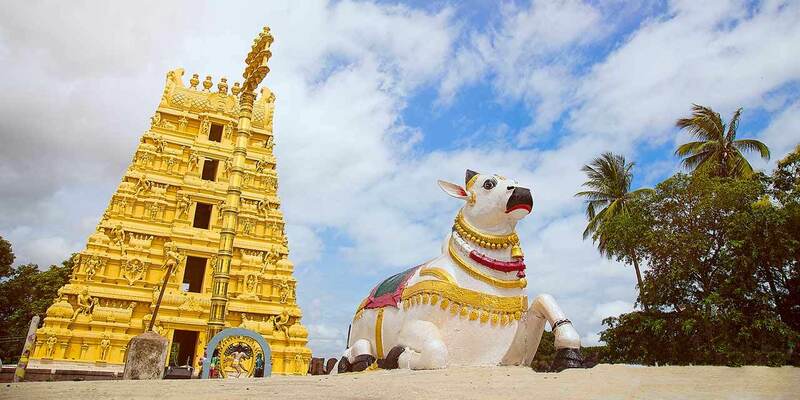 Magical Warangal Tour Package from Hyderabad is an exclusive package for travelers from Hyderabad, offering them the opportunity to have a memorable holiday within a few days. Comfortable stay in one of the best hotels, hassle free travel and ample of time for sightseeing without any trouble of arrangements and 24/7 assistance from our travel advisors are a few of the things you get by booking "Magical Warangal tour package from Hyderabad". Maintenance of high standards of services, timely responses and cost effective rates are a few other perks that come with our Warangal tour packages. The holiday package is inclusive of accommodation for 2 days and 1 night in a suitable hotel that is selected from our comprehensive list. The package is inclusive of complimentary breakfast. A cab with driver is provided for travelling to Warangal from Hyderabad. Travel at ease and enjoy the long drive in utmost comfort of the cab that is offered based on the number of person travelling. The journey will take around 3 hours of time. 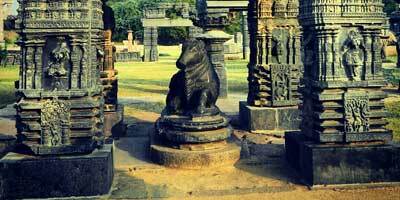 Once in Warangal, enjoy a stress-free sightseeing as our travel experts make arrangements for that as well. Our driver will take you to all the popular tourist attraction of the city, which has been chosen in such a way that you can experience the best of Warangal within 2 days of time. Driver batta is also included in the package cost. Most sought after tourist attraction in Warangal is undeniably Thousand Pillar Temple. Shri Bhadrakali Temple is also another popular temple. Along with this, you can also visit Ramappa Temple in Palampet village and Kolanupaka. A visit to Laknavaram Lake promises a few unforgettable moments amid the soothing nature and captivating scenic beauty, while visiting Warangal Fort and Khush Mahal will give you the opportunity to understand the splendor of bygone eras.